The Lake. 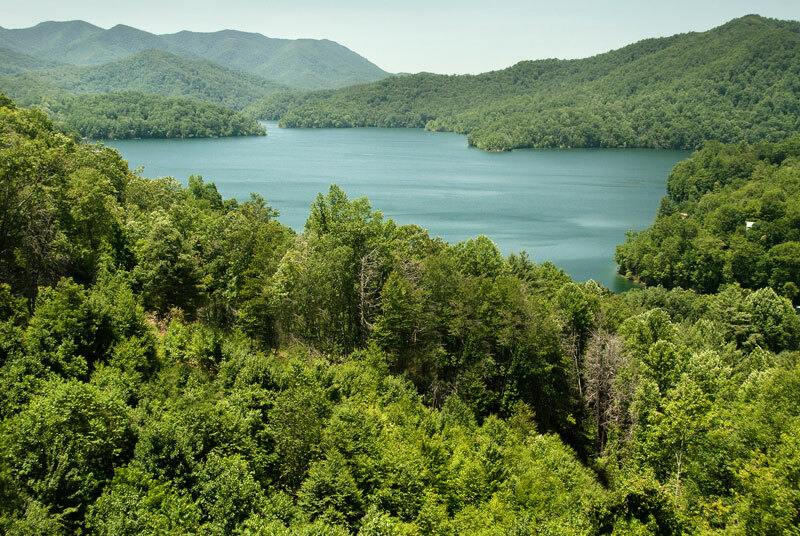 Deep in the Western North Carolina mountains, at a cooling 3,000 ft. elevation, you’ll find the pristine Nantahala Lake, an undeveloped, noncommercial diamond in the rough. 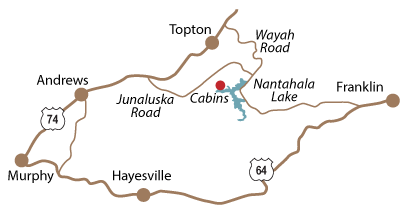 With just 29 miles of shoreline, Nantahala is a relatively small lake. Created at the beginning of WWII to supply power for the wartime industry, the reservoir and power plant is today part of the Duke Energy system. The shoreline is dotted with private homes and cabins, yet much of the land is public, managed by the US Forest Service and the North Carolina Wildlife Resources Commission ...which also maintains the lake’s two public boating access areas. The lake has walleye, crappie, sunfish, trout and bass; and is the only lake in the South with freshwater Kokanee salmon. The map shows the general location. But please ...don’t try finding these cabin rentals without specific directions from the owners. We don’t want you to get lost. The Cascades. 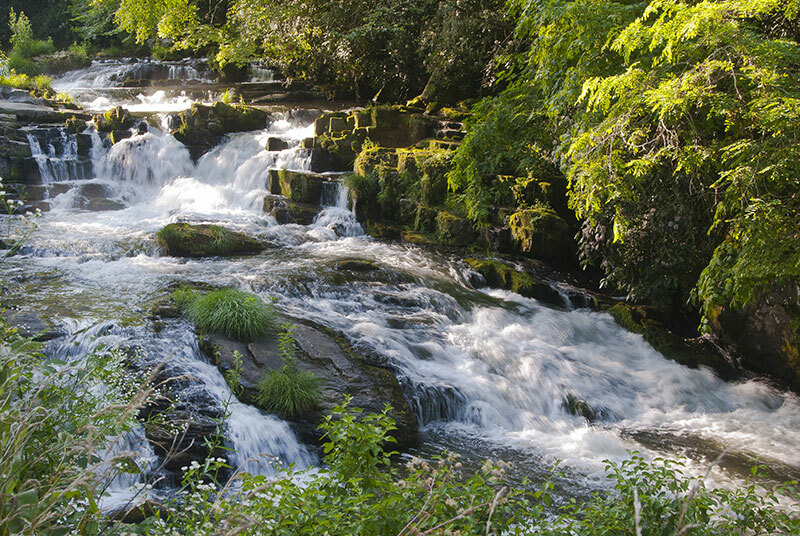 Some of the most spectacular mountain whitewater in the Southern Appalachians are the Nantahala Cascades along Wayah Road below the lake. 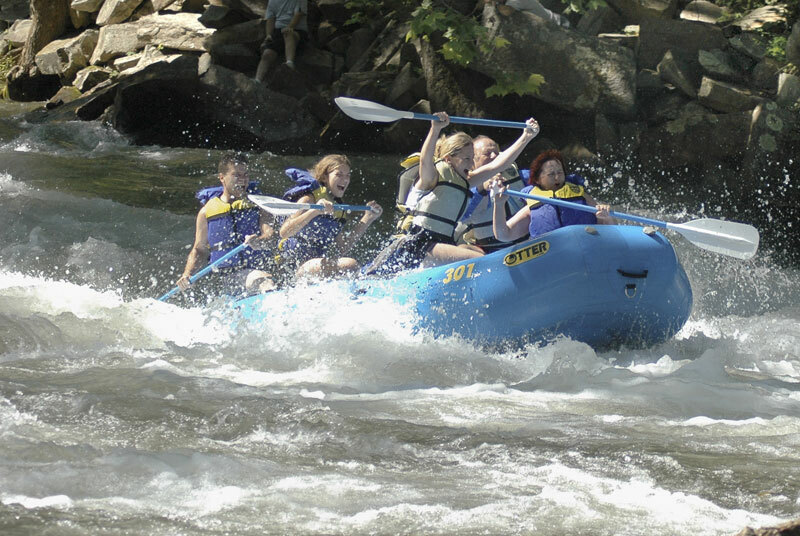 The Nantahala River drops close to 1,000 feet from the lake to the gorge floor below. 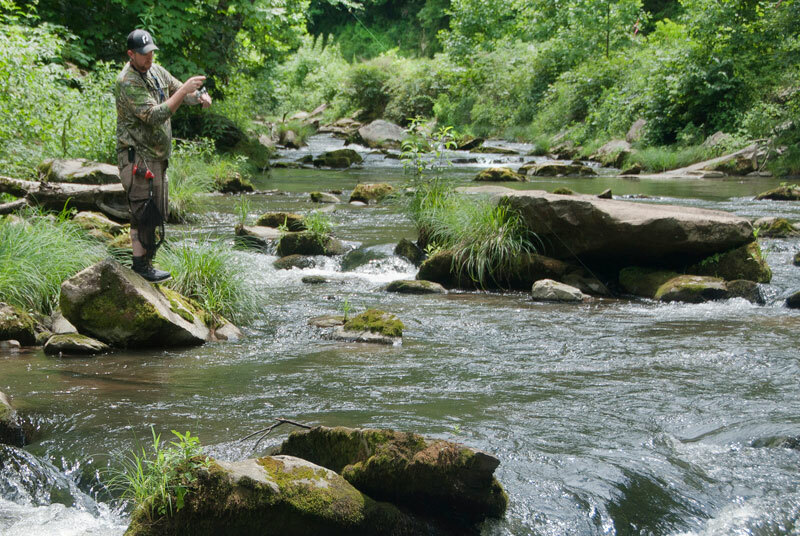 Not only is it a river of uncommon beauty, it also provides some of the trout fishing in the Smokies. The Nantahala Gorge. For generations, the river's 8-mile path through the gorge has been the scene of the south's most popular whitewater rafting and kayaking. And now, canopy tours and zipline adventures are adding to the draw. 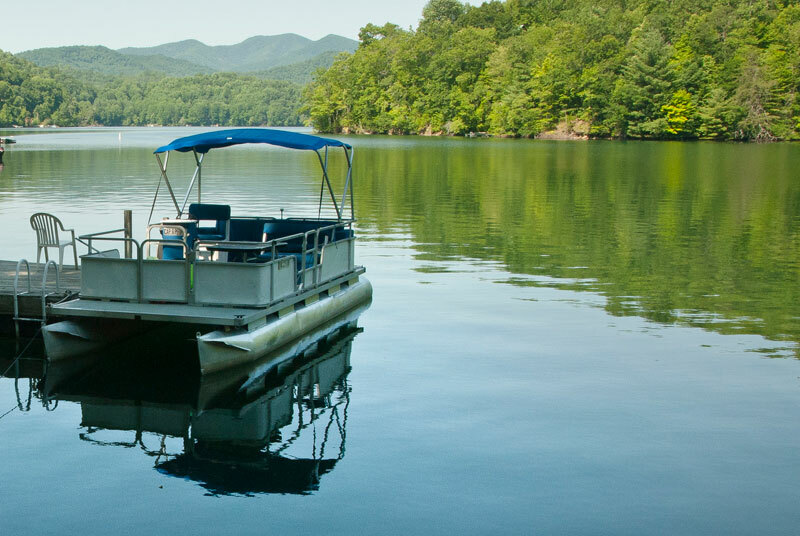 Our Nantahala Lake cabin rentals are less than an hour’s drive from Franklin, Andrews, Murphy or Bryson City — and a convenient getaway from Atlanta, Greenville, Asheville, Knoxville or Chattanooga.